The Youth Economic Group is an innovative group of teenagers in Sullivan County. 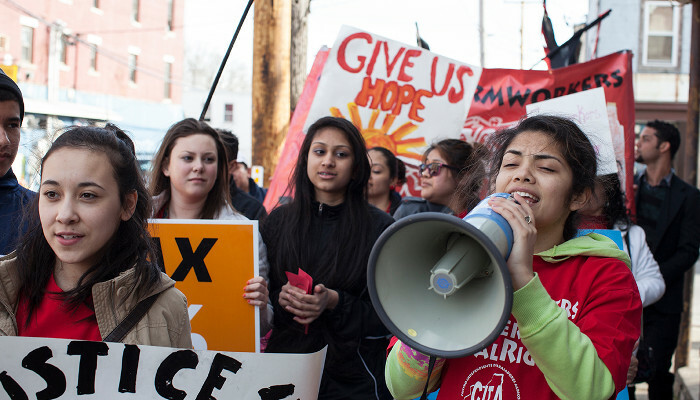 raise awareness of issues of injustice that affect our communities and advocate for a more just world for all. One of the most powerful tools YEG uses for self- empowerment and community development is the management of their own Cooperative business, 'Bags for Justice.' 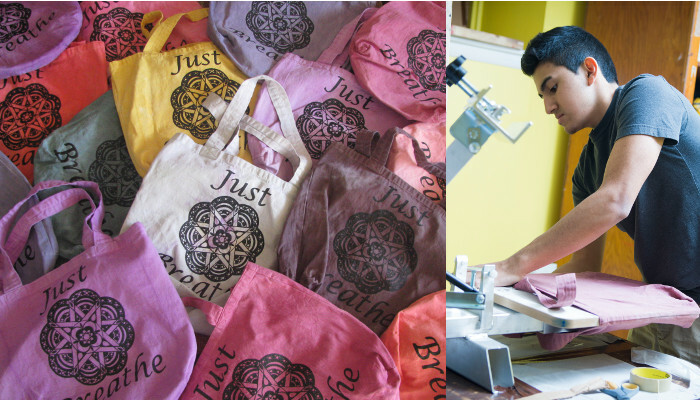 Members design images that they then silkscreen onto tote bags. The business brings out the youth's creativity and leadership, as members learn essential life skills that include: public speaking, marketing, time management, communication, design, and silkscreen production. The bags are being sold around the state at many events. 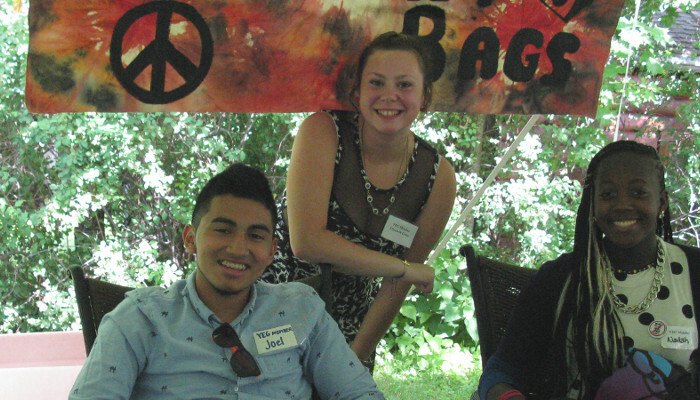 Contact us to bring a 'Bags for Justice' table to your venue. Contact Juanita Sarmiento, YEG Coordinator.